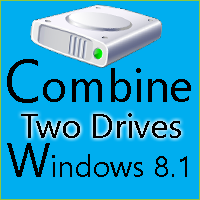 Combine two drives in windows 8.1 to (Built Disk Management Tool) are not the best way. The Only Partition Wizard might be the best choice to combine two drives. Windows 8.1 has many new functions. (For Example) users can boot it in several seconds, and the "Windows 8.1" is an upgrade for Microsoft Windows 8 - version of Windows NT or Compared with previous operating systems. Although this window 8.1 has so many good features. So users sometimes need to combine each-others partitions in order to extend partition to store more data on your computer, you can also combine two drives in windows. There are two ways to combine 2 partitions on a hard drive. One is using Windows 8.1 built-in disk management tool, and the other is using third party partition manager you apply this to your computer easily. Built - in tool in Windows 8.1 at "Disk Management" which can help you manage your partitions. So you have to delete the adjacent partition first. In this case, for example, there is a risk of losing data, and if you move files to another partition, it will spend a lot of time to do this work. 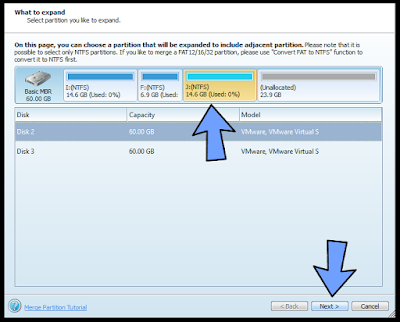 you can quickly and easily combine two partitions without data loss for this trick. Mini-tool Partition Wizard does not support (Merge Partition). So please select professional edition to start this setup. How to Use This, Lets See! How To Make Money Online ...:::: Earn Methods ::::... 1: First, launch it to open its main >>> interface <<<. 2: Now select the source >>> Partition <<< that you want to merge with another partition and click >>> Merge Partition <<< from the left action panel to get this window. 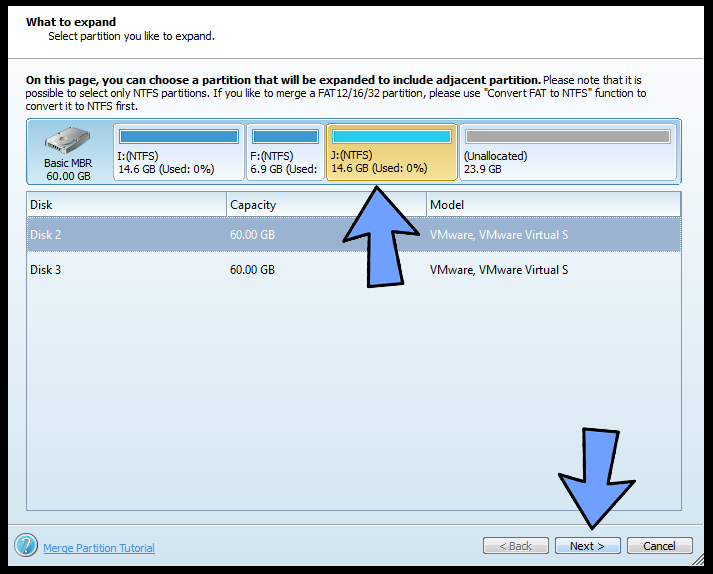 3: Now you can find the software has specified the partition to be expanded already and you only and click >>> Next <<< button to continue this process. 4: Now choose the adjacent partition that will be included in the source partition (you also choose to specify a folder name to keep the content of the selected partition), and then click >>>Finish <<< and to go back to the main interface. 5: Finally, click >>> Apply<<< button in the upper corner to apply. Combining two partitions on a hard drive with Mini-tool Partition Wizard requires NTFS partitions. If you operate a "FAT drive" you will receive an error. Fortunately, the feature (Convert FAT to NTFS). Windows 8.1 built-in tools can help to manage partitions, you had better turn to third-party partition magic to manage your partitions easily on your computer.